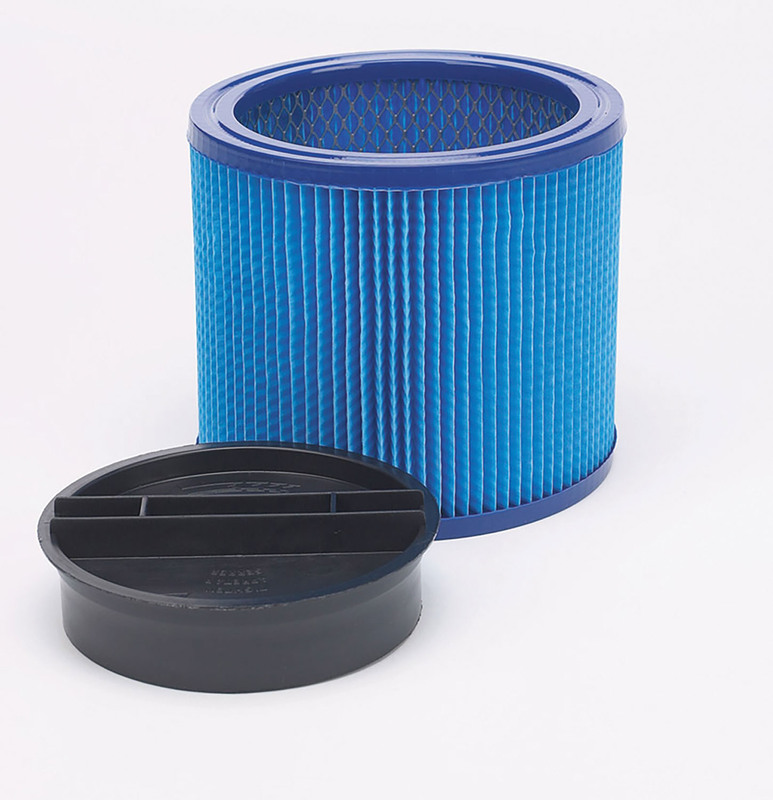 Designed to combat your toughest challenge, the Ultra-Web® Cartridge Filter can be used for both wet and dry pick-up. Fits full size vacs. Does not fit Hang Up Vacs, 5 Gallon Contractor Portable, Floormaster Plus, All Around Plus, Heavy Duty Portable, 1x1®, BullDog® Portable, Mighty Mini®, Mini Hangup, Hippo®, or All Arounds with 1-1/2 or 2 Gallon tank sizes. Approximate size of cartridge: 8" diameter and 6.5" high. Up to 5 times more efficient. For small, dry debris and wet materials like cold fireplace ash, auto refinishing, cement dust, sawdust, and drywall dust. Fits full size vacs.